1 of 38All photos are pre-hurricane Florence. Very comfortable house for a party of 9. Easy walk to the beach and right by the shops in Sirf City. Beautiful sound view! 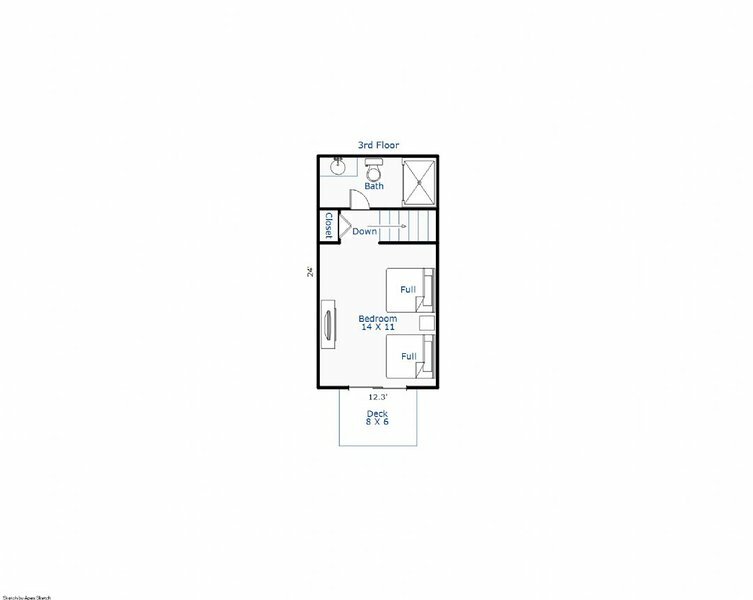 5 bedrooms, 4 baths, 2 queens, 2 fulls, 4 twins, wifi, 6 TV's, DVD. Welcome to paradise! Here you will find the best of both worlds: walking distance to the beach with views of the ocean and beautiful sound views. 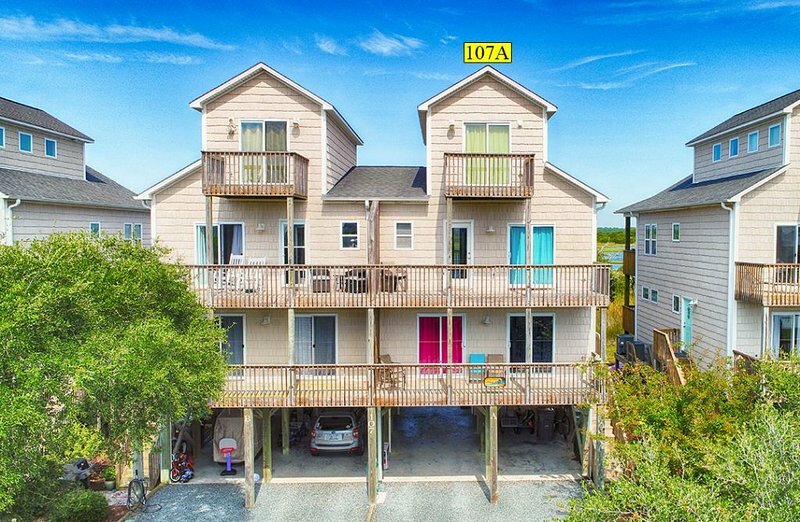 This five bedroom, 4 bath duplex is set up for families to have plenty of space and enjoy a great beach vacation with two twin rooms each with 2 twin beds and 1 queen room on the first floor. There is a queen room on the second floor along with the kitchen/ living area and a double full room on the top floor. One queen even has a sleep number bed for your added comfort! Please enjoy the beauty of the sound while playing one of the many provided board games, books, or movies. All rooms have flat screen tv's and wifi access. The kitchen is equipped with all of your cooking needs to include 2 coffee makers, a panini grill, and much more all with a beautiful view of the sound! All of this will make for great vacation at a great price! The home is located off a side street so no busy traffic here and within walking distance to all the shops and great restaurants in Surf City. All the amenities and location without the hefty price tag!! This home will knock your socks off. The sunset view is incredible and the Surf City night life is just down the street. 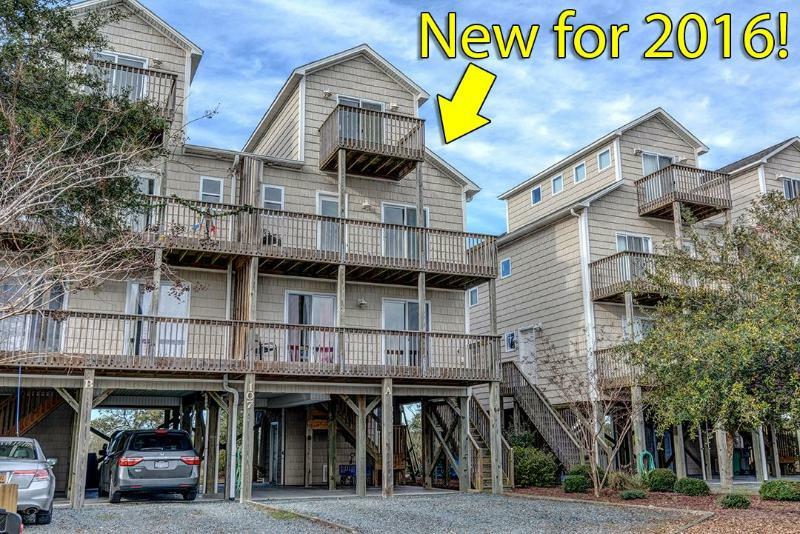 Additional amenities include: coffee maker, beach, family.